The US has finally ground me down. I didn’t like New York City, but that was kinda OK – I now realise that New York City, and what tourists visiting the city appear to like, was never going to be my cup of tea. And Detroit’s crumbling heart was always going to be more about education than pleasure. Buffalo and Detroit? They’re indicative of a rust-belt where manufacturing has – realistically – gone into terminal decline. Fascinating, albeit in a disconcerting, discombobulating way. Chicago? Marvellous skyline – especially at dusk – but while the Field natural history museum was very good, it probably wasn’t worth travelling half way around the world to see. But Philadelphia should have been a place I liked very much. Philadelphia’s CBD is beautifully executed. A program was instituted in the 1920s to create a grand boulevard along which museums and galleries are sprinkled. It reminded me a bit of Adelaide’s North Terrace with its library, art gallery and museum – but on a scale perhaps four times as big. The city buildings are also large and striking. The Philadelphia Museum of Art is quite superb – there’s something for everyone. 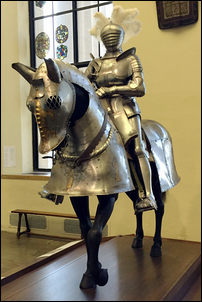 From Monet to van Gogh, to industrial hand tools, to carpentry, metalwork and even to a jaw-dropping display of arms and armour. It’s a museum you could return to again and again. 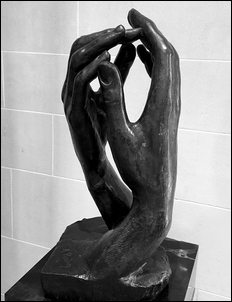 The Philadelphia Rodin museum – while small – has some superb sculptures. It also allows you to pay whatever you want to enter it – yes, there are suggested admittance charges, but these are purely optional. I’d like to see more of his sculptures of intertwined lovers but you could not help but be awed by the evocativeness of his three-dimensional clay and bronze. The Philadelphia Free Library – yes, that’s what it is called – is (unlike the New York City library!) a real, working library. I managed to find a book in it I’d never seen before on Human Powered Vehicles, photographed the cover and have since bought it in eBay. We also went to the second-hand bookshop that is associated with the library. I found the staff helpful (and I liked patting the shop cat, asleep on a pile of books), and I bought a quite rare book on Westinghouse train air brake systems for just a pittance. 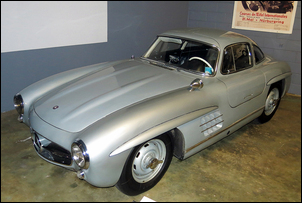 That was yesterday: today we went to Philadelphia’s Simeon car museum. A taxi ride away to an industrial area near the airport, the museum is in a humble building but has within it some genuinely fantastic cars. 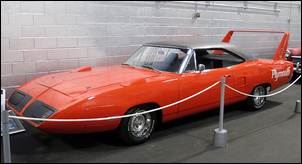 My 10 year old son Alexander and I had longed to see a Plymouth Superbird, the 1960s NASCAR special with the huge rear wing and long, drooping nose. I read the aerodynamic engineering paper on this car perhaps 20 years ago - and the car in the metal was actually even better than I expected. Sweeping curves with power and aggression – not like anything I’ve seen before. If I were to have one muscle car in a car collection, it would surely be this machine. 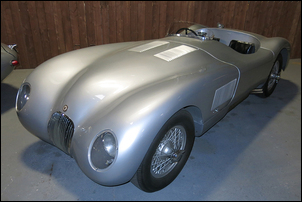 …and the C-type Jaguar, an early unexpected Malcolm Sayer beauty. 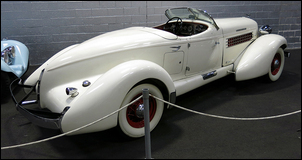 We also saw some classic American cars – the Auburn boat-tailed cars of the 1930s, and the Hudson Hornet, looking as curvaceously svelte and appearing as bloody fast as legend suggests. So what was wrong with Philadelphia? What was the straw that finally broke this camel’s back? 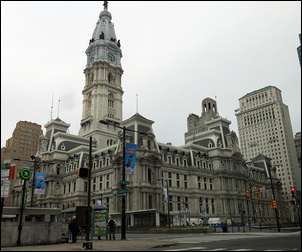 Yesterday we went to a post office in central Philadelphia – just a stone’s throw from the huge and elaborate 1920s City Hall. We’d packaged up a box to send home, and my wife Georgina was standing in the queue while 10-year-old Alexander and I waited. Then, abruptly, there was a disturbance. One of the post office staff had asked of the people in the queue: “Who is waiting for money orders?” A woman quickly ran – not walked - forward, indicating that, yes she was. It was slightly odd; clearly, the fulfilling of money orders was of great importance. By moving forward, she had effectively jumped the queue: the post office man indicated that she should return to the back of the line. Things quickly moved up a gear. The woman, seeing that she wasn’t immediately going to be served, started screaming. Not talking in a raised voice, but yelling. There was more in the same vein: lots more. No one in the post office appeared surprised – there were no exchanged looks or murmurings in the queues. Alexander and I looked on, aghast. But it is what the post office staff said that stunned me. “Calm down ma’m. You don’t want to go to jail for this. It’s not worth goin’ to prison for this. I assume that the money orders were to cash government assistance or some such – nothing else could quite have explained her distress, nor the fact that once they knew where money orders could be dispensed, a whole new queue of people suddenly lined up in a different spot. A bit like in Detroit, but also in this cultured and elegant city of wonderful museums and libraries, here in the USA, the veneer of civilisation is simply paper-thin. One of society’s worse sanctions - prison - lies one step away for an underclass of the disadvantaged and disenfranchised. This is quite obviously a society of those who have wealth and privilege and comfort… and those that do not…. Well I think that for us, Washington DC is the best place in the US. Over the last few days, we’ve seen some fantastic sights - things worth travelling half way around the world to see. Firstly, Washington is in many respects quite unlike the US we have so far experienced. The central city buildings are grand, the streets wide and well laid out, and the sights match what I had imagined the capital of a rich country would look like. 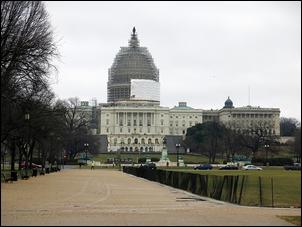 The many government buildings are often architecturally striking. And even when we travelled 20 or 30 kilometres out from the city centre, the infrastructure, building development and wealth didn’t degenerate into slums and vandalised empty industrial buildings. 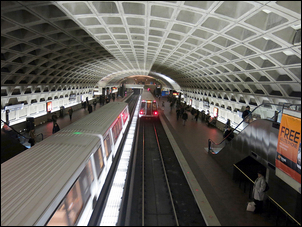 The Washington DC underground is also the best transit system we have ever used. The trains are quick, closely-spaced, well-lit and not overly expensive. The stations are large (far larger than London’s underground) and modern (much nicer than in New York). This infrastructure is genuinely impressive. However, that said, the beggars and homeless, the accosters and the odd, are all still here on most street corners, lurking at the doors of railway stations, and congregating down side alleys. Perhaps there are less drugged and deranged on the streets than in other places we’ve visited in the US – but there wouldn’t be much in it. 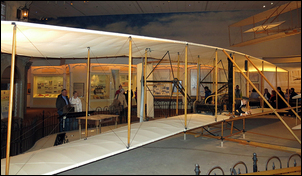 Yesterday, and the day before, we spent at the Smithsonian Air and Space Museums. Yes, museums - there are two. 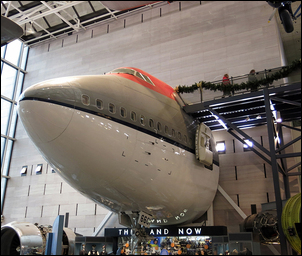 The first is in within the central city, and the other (the Steven F. Udvar-Hazy Centre) is located near Dulles Airport – a train and bus ride away from the CBD. 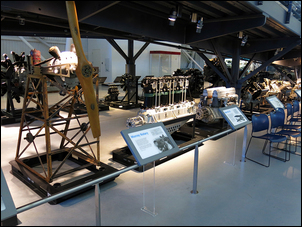 Both museums are quite extraordinary – by far the best aviation and space museums we’ve ever seen… and that includes Duxford in the UK. You could spend half a day in each gallery of the central museum – and there are 11 galleries. The quality of the exhibits is second to none. 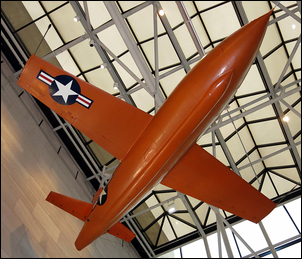 …a U2 spy plane – it just goes on and on and on. The signage is brilliant - the historical, social and technological context impeccably established. 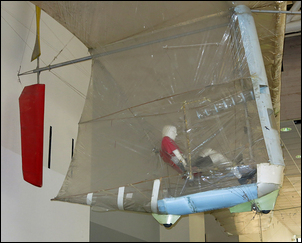 In each gallery there’s also a further display of smaller items – so for example in the U2 gallery, there’s a full exhibit of aerial photography and remote sensing cameras. In the gallery on post WWII passenger aircraft, there’s a display showing cabin staff uniforms over five decades. The gallery on navigation techniques and equipment is like a full museum in itself – this single gallery was once of the best I have ever seen on such a complex scientific and engineering topic. Admission to the museum is free, and on the days we went, we found the museum not overly crowded – and those people who were there, behaved well (and so unlike other crowds we’ve experienced at other US museums). Apparently, it is the most popular museum in the world in terms of attendance - I think that without exception, everyone reading this would love it. 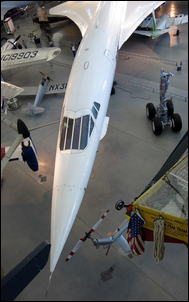 The Steven F. Udvar-Hazy Centre has literally hundreds of aircraft on display. Again, it is a roll call of the most significant aircraft ever. 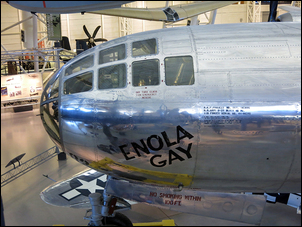 …to Enola Gay, the aircraft that dropped the nuclear bomb on Hiroshima. 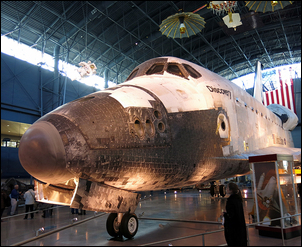 …to the Space Shuttle Discovery, blackened from its last space flight and re-entry (no fake tiles here!). Again, the level of description is excellent, and the smaller displays quite stunning. The line-up of aircraft engines is extraordinary (I could have spent half a day on just these) and the launch desk for nuclear ICBMs, the guidance systems for the V1 and V2 German missiles, the Robert Goddard rockets, and the cutaway communication satellites incredibly rare. 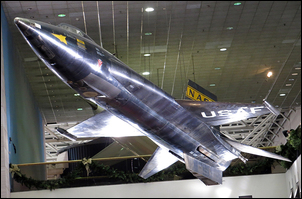 If you are remotely interested in aircraft and space, no superlatives are too glowing to describe these museums. 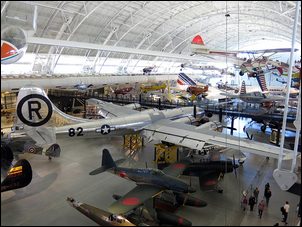 The Steven F. Udvar-Hazy Centre is also free, and on the day we were there, was almost empty. Today we went to the postal museum – another Smithsonian, and so free. This museum is quite small but is also excellent. 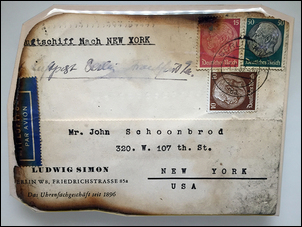 The sections on letters made me think of them in a new way – not hard when they had on display envelopes that survived the Hindenburg (pictured), mail that was stamped as being scanned for anthrax before being passed on to the addressee (the White House), and even mail addressed to the Wright brothers when they were trying to sell the very first aircraft designs for overseas military use. 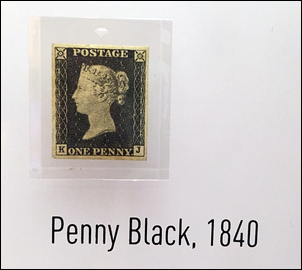 And I never thought I’d see a Penny Black stamp… let alone two of them in one morning! Today it was snowing lightly but it was still easy to get around on foot. (And compared to New York, there’s almost no one here!) We walked from the postal museum to the Natural History museum. This is yet another Smithsonian – so free and brilliant. I won’t go into detail on this museum - except to say that the gems collection is probably the best of any natural history museum in the world, and the section on human evolution is quite fascinating.